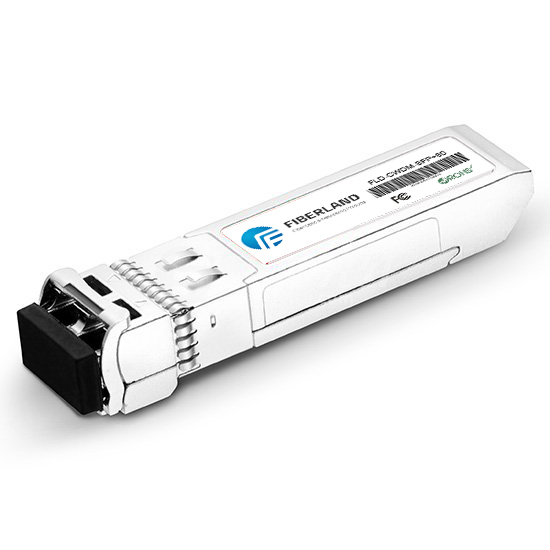 The fiber optic transceiver module is one of the connection modules, which realizes the conversion between the optical signal and the electrical signal. The fiber optic transceiver module is mainly composed by optoelectronic devices, functional circuitry and optical interface, in which the optoelectronic devices includes transmitting and receiving two parts. The fiber optical module was first produced in 1999; and the earliest fiber optical module is 1X9 package with SC connector, directly solidified in the communications equipment on the circuit board, as a fixed optical modules. After that, 1X9 optical modules are gradually toward miniaturization, hot-swappable direction. Optical module products began to be divided into two aspects of development, one is hot-pluggable optical module GBIC, the other is the small SFF 2X5 or SFF 2X10 with LC header, directly solidified in the circuit board. GBIC and SFF optical modules both have achieved a wide range of applications. 1x9 optical transceiver modules are state-of-the-art components designed expressly for the building of high-speed bi-directional communication links that require data rates of up to 1.25 Gb/s. The modules operate at special extended voltage and temperature (-10 to 85 C) ranges. 1x9 optical transceiver power dissipation is less than 1 watt for the 5 V and the 3.3 V versions. The modules’ metal enclosure not only makes them sturdier, but also improves the transceivers FCC test margins. This emissions and ESD control is particularly important in applications with sensitive multiport hubs and switches.These high-speed transceiver modules are well known throughout the industry for their superior quality, reliability, and affordability. An evaluation board is available for test and demonstration purposes. The GBIC module was once widely used in switches, routers and other network branded products. The old Cisco, Nortel and other manufacturers widely adopted the GBIC module for their switches and routers. Compared to the GBIC module and the 1X9 package module, is very obvious advantages, as it can support hot plug, make GBIC products as an independent module, users can easily update the optical module, fault location. However, with the continuous development of the network, the disadvantages of GBIC module are gradually. The main disadvantage is too big because the business board optical density is low so that the business board can’t accommodate a sufficient number of GBIC, unable to adapt to the rapid development of the network trend. SFP module is the most widely use product. SFP module inherits the hot swappable characteristics of GBIC and also draws on the miniaturization advantages of the SFF module with the LC connector. SFP module is reduced the volume and consumption by designing the CDR and EDC outside the module. SFP module is used to connect network devices, such as, switches, routers and others. It is widely applied to the telecommunications and data communications. XENPAK is an important step in the evolution of the optical modules. The XENPAK architecture provides a XAUI interface for the Media Access Controller. Compared with not hot-pluggable modules, XENPAK modules is very attractive. But is can’t meet some important market demand. The power consumption of XENPAK is usually 10W, which will cause a certain influence to the structure size because it increase the cost of manufacturing printed circuit board and reduce the precious line space. X2 modules also adopt the XENPAK electrical interface, but there are a few local exceptions. X2 offers a 4bit port address space, a bit less than XENPAK. X2 also reduces the number of power supply pin. In the aspect of optical technology, X2 supports 10GbE, OC192 synchronous optical network, 10GFC and other standards. 10G small hot-pluggable XFP module is different from the XENPAK architecture and its 4-channel interface. XFP module adopts full-speed single serial module of a XFI (10Gb serial interface) to replace the XENPAK and its derived products. Since the XFP module doesn't have serializer/ deserializer, XFP is smaller, cheaper than XENPAK. And its’ power consumption is also less than XENPAK. SFP+ module is smaller than XFP module. It transferred the circuit, which is used for the clock and data recovery, from the chip to the card. With its miniaturization, low cost and other advantages, SFP+ meets the high-density demand of device. From 2002 to 2010, SFP+ has replaced XFP to be the mainstream of 10G market. Quad Small Form-factor Pluggable, the QSFP+ has 4-channel SFP+ interfaces. QSFP+ is designed as the high-speed pluggable solution to meet higher-density of market. As a fiber optical solution, the speed and density are both better than the 4-channel CX4 interface. Since QSFP+ can support 4 channels’ data transmission at 10Gbps per channel with the same port size of XFP, the density of QSFP+ ups to 4 times of XFP products. The CSFP MSA defines a transceiver mechanical form-factor with latching mechanism and a host board, SFP-like, electrical edge connector and cage. The CSFF MSA also defines a transceiver mechanical form-factor. The dual-channel CSFP is compatible with the standard SFP cage. The single-channel CSFP and CSFF are half the size of the industry-standard SFP and SFF packages. The CSFF design is modular to enable configurations of integrated 2ch modules. In future FIBERLAND will develop 4ch CSFP modules. These highly integrated compact transceiver modules will enable network system vendors to increase port density and data throughput, while reducing network equipment cost. CFP is a hot-pluggable transceiver that supports a wide range of 40 and 100 Gb/s applications such as 40G and 100G Ethernet, OC-768/STM-256, OTU3, and OTU4. Different versions of CFP modules can support various link distances over either multimode or single mode fiber optics. The CFP module includes numerous innovative features like advanced thermal management, EMI management and enhanced signal integrity design, as well as an MDIO-based management interface.